Join us for the first partial day treasury and finance Spring Learning Day 2019! You asked us for more sessions that earn you more continuing education credits and we planned a jam-packed event for Wednesday, April 24th, 2019 at the Science History Institute in Philadelphia. You'll learn from experts about Real Time Payments, Autonomous Learning, Blockchain, and Tax Reform. Scroll Down to Save Your Seat! Click for session descriptions here. Spring Learning Day 2019 will be held in the Ullyot Meeting Hall, Science History Institute in Philadelphia located at 315 Chestnut Street. 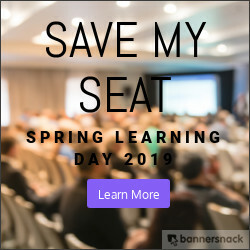 Enjoy discount pricing when you register for both conference events - the Spring Learning Day (April 24th) and the Fall Learning Day (November 21st)!! It is anticipated that each Learning Day event will earn 4.8 credits. Copyright © 2017 Philadelphia Association for Financial Professionals. All rights reserved.